From an early age, traditional folk music played an integral part in Hedy West's life. While many of her peers would experience rural music for the first time in urban settings during the late-'50s folk revival, West drew upon a wealth of Georgia's traditional heritage. Her father, Don West, worked as a trade union organizer, and introduced his daughter to mining songs. Even more influential were her grandmother, Lillie Mulkey West, and her uncle, Augustus Mulkey, who taught her traditional British American ballads. "Grandma specialized in sober or tragic songs, perhaps conditioned by her hard life," West noted, "but Gus preferred humorous songs; indeed, he was not likely to sing unless he could extract a bit of fun out of the song." At the age of four, West began piano lessons and while attending high school, taught herself banjo. In the mid-'50s, West sang at the Asheville Annual Folk Festival and Mountain Youth Jamboree, and won first prize in a ballad-singing competition in Nashville, TN. In 1959, West went to New York City where she studied music at Mannes College and drama at Columbia University. She was soon distracted from her studies by the burgeoning music scene in the North. "When I arrived in New York, the folk song revival was on," West wrote, "but I found something insulting in the way people looked at the South, and in the way northern youngsters sang songs born in the South. So I took to singing the songs whenever I could, partly to clear up misunderstandings, and partly, I suppose, to compete with the other singers of the folk song revival." She appeared in a Sing Out! hoot at Carnegie Hall and performed at the Indian Neck Festival in 1961. As a result of the latter performance, Manny Solomon signed West to Vanguard Records. She recorded New Folks in 1961 and followed with Hedy West Accompanying Herself on the 5-String Banjo and Hedy West, Vol. 2. 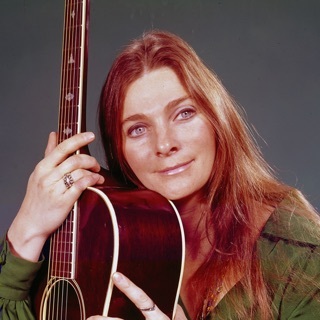 She played the coffeehouse circuit, receiving prestigious bookings at Gerde's Folk City and Caffe Lena in the early '60s. "By the mid-'60s," Irwin Stambler wrote, "West had sung at most major festivals in the United States and given recitals across the country." West continued her career in Los Angeles, married, and eventually moved to England, where she recorded Pretty Saro, and Other Songs From My Family and Ballads for Topic Records. After seven years in England, she moved to Germany and recorded Getting Folk Out of the Country with Bill Clifton. In 1970, West returned to the United States to study composition with David Lewin. A number of West's albums were reissued in the 1980s and 1990s. ~ Ronnie D. Lankford, Jr.